This is an eyeshadow palette of earth tone shades that I got from kkcenterhk.com . 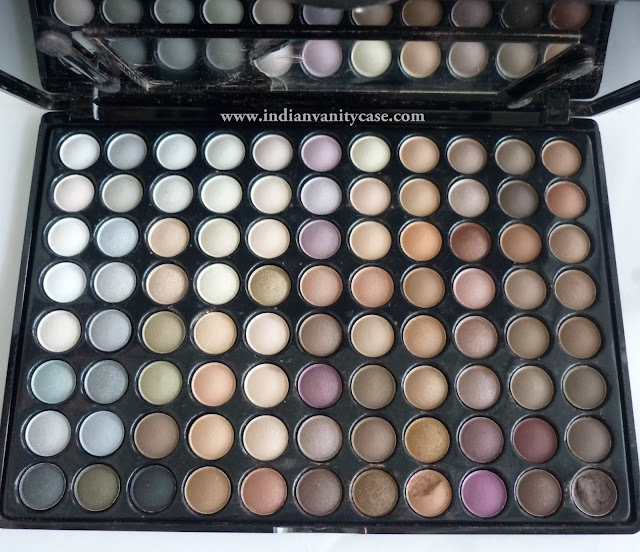 Earth tones or neutral palettes are a must-have if you wear eyeshadow everyday, especially if you can't afford to keep repurchasing single eyeshadows from MAC & other high street/high end brands, and you're new to makeup & still trying to decide which eyeshadow shades look best on you. 88 Earth Tone Eyeshadow Palette comes in a black case, mirror and 2 dual-ended sponge tip applicators. As, you can see, a few eyeshadows and the mirror were broken during shipping tsk tsk. Size of the palette: 167mm x 232mm x 13mm. The eyeshadows are a little smaller than the ones in the 120 palette I have. This palette turned out exactly like I expected - good, not great. I'm really enjoying playing around with this palette. However, I do think they need an eyeshadow primer to show up nicely. In the following EOTD, I used all matte shades on my lids- the reddish brown & the taupey brown on its right (10th&11th row, second last), black on outer V, and a pearly cream shade on brow bone and tear duct area. The item in this post was sent to me by the company for review purposes only & I am not affiliated with the company. Honest review, as always. Great Review. I am not crazy about these huge palettes with tiny shades, especially for neutrals, which are my go-to choice for everyday. 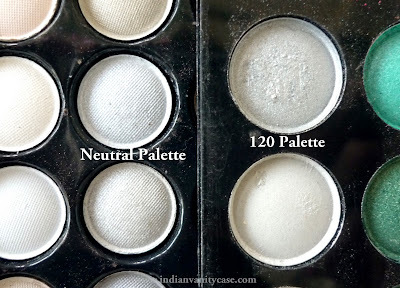 A lot of the colours look too similar to each other, and lighter shades in white and grey tend to be powdery no matter how good the formulation, so from a cheaper product, I wouldn't have that much faith in the application. Speaking of primers, what brand do you recommend? can you please tell me what bag this is? and where i can buy it from? All shades natural and really wearable! 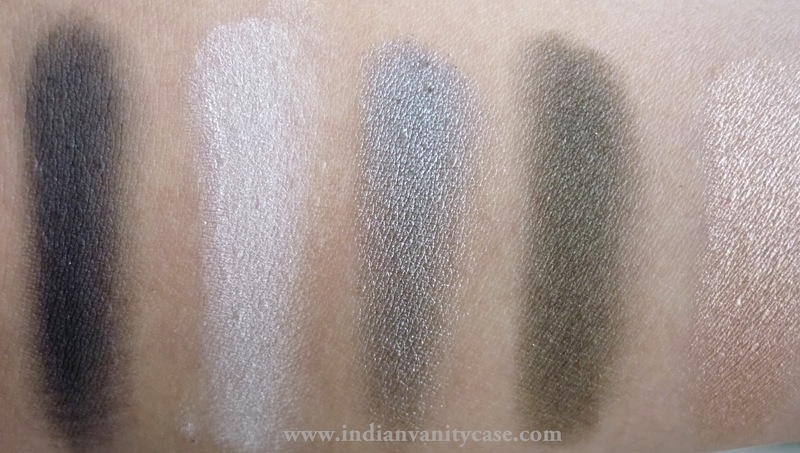 Some of the shades are gorgeous, but that's always the problem with cheaper eyeshadows, they need something to cling on to, in order to survive through the day. It does seem practical though :) Sounds good for traveling. Looks nice n worth the money. very pretty colors..n I love ur EOTD always..u r fab at it !! wow!!! where can we order this???? can we buy this in india??? where can i find it? ?